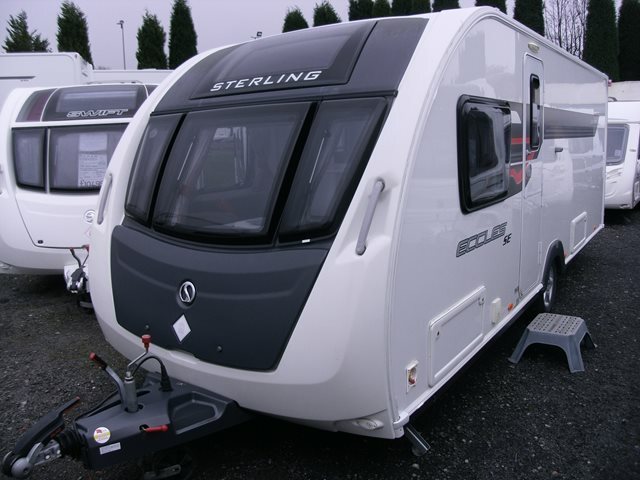 Our used Sterling Eccles SE Quartz is shown below, for more information please contact us. This four berth Quartz is a hugely popular layout and features a transverse island bed, a central kitchen, end wash room and two bench seats to the front. The Eccles SE Quartz also has an alarm, microwave, external BBQ & mains points, Alde heating and AL-KO ATC. As well as all this it benefits from the Swift SMART (Strong, Modern, Aerodynamic, Resilient, Tested) timberless construction system. The Eccles series has been around for a long time and remains one of the most contemporary looking caravans on the market. For further information please contact us on 01384 413336 and ask for a member of the sales team.